Dr. Kloor is an American scientist, inventor, film producer, director, writer, and entrepreneur. Kloor was the first (and still the only) person to be awarded two PhDs simultaneously in two distinct academic disciplines. He holds PhDs in Physics and in Chemistry, both earned at Purdue University. In recognition of this achievement he was named ABC person on the week in August 1994. Dr. Kloor is a recognized leader in bringing science to the public, and science consultant for NASA, CIA, and fortune 500 companies. Dr. Kloor has worked with large number of scientific organizations, universities, and companies to advance exponential technologies ranging from robotics, holographic capture, virtual and augmented reality, artificial intelligence, deep machine learning, sensor networks, IOT, haptics, etc. He was the CSO of the Ansari XPRIZE, as well as one of the five original founding team members of the famed Ansari XPRIZE. In 2016, Kloor returned to XPRIZE Foundation, as Bold Innovator bringing his decades long mission of advancing avatar technologies to XPRIZE. As Bold Innovator he created the Avatar X Prize concept and developed its design, which on October 1, 2016 was presented and voted one of the three top prize designs. Dr. Kloor then raised 22M commitment from ANA to fund the Avatar XPRIZE. This prize was formally announced on March 12th, 2018 at South by South West. Harry 'Doc' Kloor is CEO and Co-Founder of Beyond Imagination – a company that will bring general purpose humanoid avatars to the world enabling near instantaneous transportation. BI will provide support for teams as they move forward. Kloor is also the Co-Founder of Gendev, a Meta-Verse company dedicated to bringing ready-player-one like realities to the public through novel combination of next-gen technologies that will enable large scale interactions between users in both VR and AR for social, commercial, scientific, gaming, and impact. Gendev acts as sister company to Beyond Imagination. Kloor also served as advisor in US Senate in 1994, was on the founding team for Singularity University and former part-time instructor. In 2011, Kloor was one of the chairs of the DARPA's 100 Year Starship study. He was one of the three co-founders of the Rocket Racing League, and was co-founder of Stem-CC, a Stem-Cell cord blood company which recently was sold to Cellularity. Dr. Kloor works in the advancement of advanced treatments and technologies in various areas of healthcare, and is a member of the Brain Mapping and Therapeutics Society, for which he is also the Co-Chair of their annual awards and fund raising gala. Kloor is a film writer, director and producer. He has written for numerous Hollywood studios and various TV and Film Projects, including but not limited to Star Trek: Voyager, Godzilla the animated series and was the story editor for Gene Roddenberry's Earth: Final Conflict, a series he co-created/developed. Through his company Jupiter 9 Productions, Kloor is currently working on a variety of film and TV projects – including John Carter of Mars TV series (based on Edgar Rice Burroughs famed series) with Tim Kring (creator of Heroes, Touched, Finding Jordon, etc), Flinx and Pip (Alan Dean Foster book series) with Chris Boal feature series, and Pellucidar with Mathew Rhodes of Hideaway films. Kloor helped create Taiwan's animation industry, bringing, Quantum Quest, the first big animation film to Taiwan that starred major Hollywood stars. Quantum Quest stars the voice talents of Chris Pine, Samuel L. Jackson, Hayden Christensen, James Earl Jones, Amanda Peet, Abigail Breslin and many others. QQ also features Neil Armstrong one and only film. 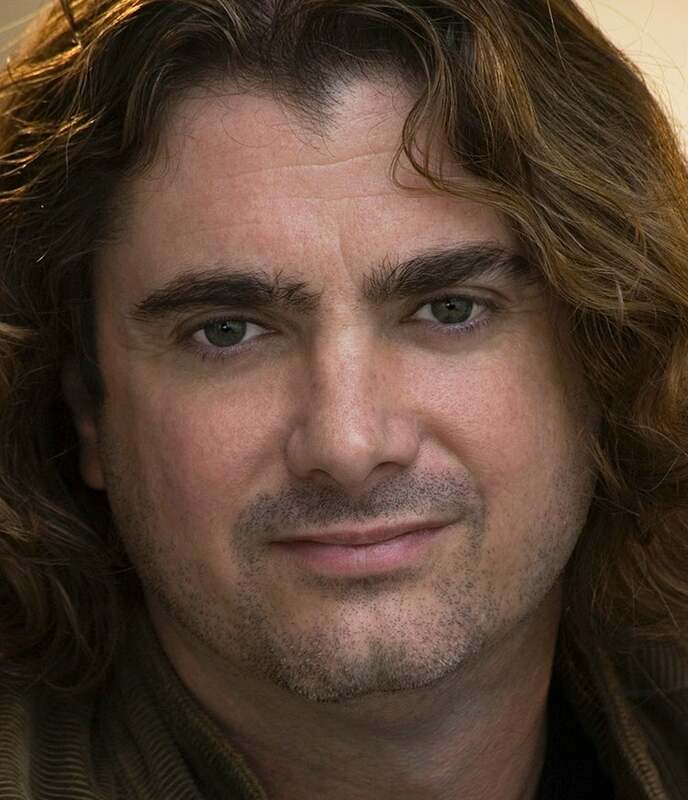 Dr. Kloor co-created the series Earth Final Conflict for Tribune/Alliance, and served as producer and writer on the series.